The drug Actovegin is used to improve metabolic processes in tissues due to improved blood supply. In addition, Actovegin is an active antihypoxant and antioxidant. The drug has earned the trust, as a reliable tool, among doctors and patients, it is well tolerated by both adults and children. Although a relatively high price, the drug is in demand, and this means that Actovegin is an effective tool. What does the drug help? The main purpose of the drug – the treatment of diseases associated with blood circulation. Ointments are widely used to treat bruises, abrasions and pressure sores. Also, the drug is used to treat diseases associated with circulatory disorders. The main component of the drug is hemoderivat (hemodialysis). It consists of a complex of nucleotides, amino acids, glycoproteins and other low-molecular substances. This extract is obtained by hemodialysis of the blood of dairy calves. Hemoderivat is deprived of proper proteins, which significantly reduces its ability to cause allergic reactions. At the biological level, the effect of the drug is due to the stimulation of cellular oxygen metabolism, improved glucose transport, an increase in the concentration of nucleotides and amino acids involved in energy metabolism in cells, and stabilization of cell membranes. The action of the drug begins half an hour after administration and reaches a maximum after 2-6 hours. Since the drug is made from natural biological components, it has not yet been possible to trace their pharmacokinetics. We can only note that the pharmacological effect of the drug does not decrease due to impaired renal and liver function in old age — that is, in such cases when a similar effect should be expected. Can Actovegin be used during pregnancy? At the moment there are no data on the harm caused by medicine to the health of the mother and child. However, serious research on this issue was not conducted. Thus, the drug can be used in the case of pregnancy, but only as prescribed by a doctor and under his supervision, and if the risk to the mother’s health outweighs the potential harm that may be caused to her unborn child. When treating children, it is not recommended to inject because of the high risk of allergic reactions. If there is a need to use Actovegin for the treatment of children, it is preferable to use other dosage forms. However, in some cases, the doctor may prescribe Actovegin injections to the child. The reason for the appointment of injections can be regurgitation or vomiting. When applying ointments and creams to treat wounds, soreness can often be observed where the preparation touches the skin. Such pains usually disappear within 15-30 minutes and do not indicate intolerance of the remedy. It is not recommended to apply the medicine simultaneously with alcohol, since the latter can neutralize the therapeutic effect. At the moment there is no data on the interaction of Actovegin with other drugs. It is not recommended to add foreign substances to the infusion solution. The drug is available in various dosage forms – tablets, ointment, cream, gel, solutions for infusion and injection. The price of dosage forms is not the same. The most expensive are the pills; creams and ointments are much cheaper. Used to treat the healing of wounds, abrasions, ulcers, burns, various inflammatory processes on the skin and mucous membranes. The basis of the ointment is fatty substances. Ointment softens the skin; active ingredients are better absorbed into the skin from the ointment than from other dosage forms. Used for the same purpose as ointment. The gel has a water base. It does not clog skin pores, spreads faster on the skin surface and begins to act as compared with ointment. Tablets are prescribed for circulatory disorders, the treatment of trophic ulcers, encephalopathies, the effects of head injuries. Taking pills is more convenient and has a lower risk of side effects than parenteral administration of the drug. The best way to take Actovegin in pills according to the instructions is 1-2 tablets 2 times a day. It is recommended to take the drug before meals. The course of treatment usually lasts 2-4 weeks. In the treatment of diabetic polyneuropathy, intravenous administration is used. The dose is 2 g / day, and the course of treatment is 3 weeks. After this therapy is carried out with the help of tablets – 2-3 pieces. in a day. Admission is carried out within 4-5 months. The ointment is used for wounds, ulcers, burns. The dressing with ointment must be changed 4 times a day, with bedsores and radiation burns – 2-3 times a day. The gel has a less oily basis than ointment. Actovegin gel, as stated in the instructions, is used to treat wounds, ulcers, pressure sores, burns, including radiation. In case of burns, Actovegin gel is applied in a thin layer, in case of ulcers – thick, and closed with a bandage. The dressing should be changed once a day, with bedsores – 3-4 times a day. The cream is used to treat wounds, weeping ulcers, prevention of pressure sores (after using the gel). 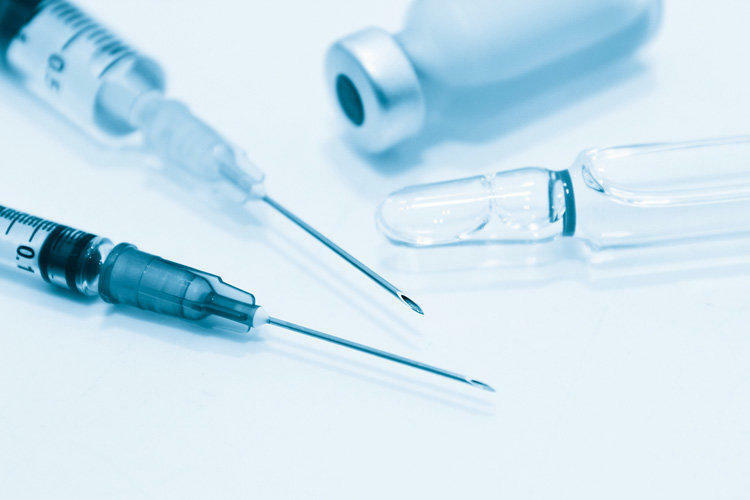 Injections can be done in two ways: intravenously and intramuscularly. Since injections increase the risk of allergic reactions, it is recommended to pre-test for hypersensitivity. In ischemic stroke and angiopathy, 20-50 ml of Actovegin, previously diluted in a solution of 200-300 ml, is injected. The course of treatment is 2-3 weeks. Injections are given every day or several times a week. For metabolic and vascular disorders of the brain, it is necessary to inject 5-25 ml daily for two weeks. After this treatment, you must continue the pills. For ulcers and burns, 10 ml is administered intravenously or 5 ml intramuscularly. Injections should be done one or more times a day. In addition, therapy with an ointment, gel or cream is carried out. Analogue of the drug Actovegin is Solcoseryl, which also contains blood derivative. Actovegin differs from Solcoseryl in that it has no preservatives. On the one hand, this increases the shelf life of the product, but on the other, it can cause a negative effect on the liver. The price of Solcoseryl is somewhat higher.